Check out that jacket! The hair-do and the cigarette - pure 70's chic! “Gilles Latiner is thirty-five, attractive, with a beuatiful mistress and a job in Paris as a journalist. He seems to have all that life can offer. But suddenly he is overwhelmed by despair. Nothing seems worth while. In panic at his boredom, and hating Eloise, his model girlfriend, he flees for some peace to his sister and her husband in the provinces. After having read, and loved, Sagan’s more famous Bonjour Tristesse about a year ago; when I saw this book and two others by Sagan for only £2 each in a little second-hand bookshop, I dutifully rescued them from the shelves and brough them home to be loved and nurtured by me! I loved this book! Really loved it. Francoise Sagan is such a talented writer. She wrote Bonjour Tristesse at the age of 17 when she had failed her exams so “decided to write a novel instead”. For one so young, that particular book is truly amazing (or am I just forgetting – now I’m older – how complex a teenagers emotions really are?). 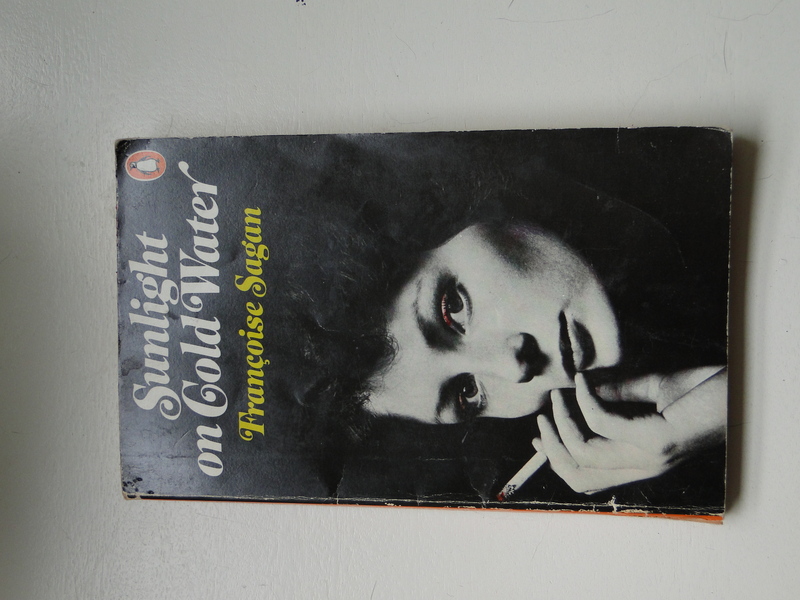 Sunlight on Cold Water was written at the end of the 1960’s so by this time Sagan had matured and had the time and experience to hone her craft. For such a short book (a novella, really) not a word is wasted and I found myself, over and over again, marvelling at her insight into human beings and their actions and motivations. She really gets under the skin of her characters and has the most incredible empathy for what makes them tick. Gilles Lantier is a successful journalist in Paris, living a life of frivolity with a model for a girlfriend (and women whenever he pleases). At age 35, he finds himself in a very unfamiliar and very frigtening place. What used to interest him now makes no sense, what used to please him now repells him and for the first time in his life he is struggling to even function, let alone live with any purpose. Gilles, although he doesn’t realise it at first – being so overwhelmed by fear, is suffering from depression of the most crippling kind. The way Sagan depicted Gilles unravelling was astounding. Speaking as one who has suffered depression previously and knows how crippling and debilatating it can be, she got this spot on. Gilles finally (on the advice of everyone telling him he needs a break) heads down to Limoges, in the Limousin, to stay with his older sister and her husband. Far from him miraculously becoming well again, as everyone expected, in the fresh country air and slower pace of life, Gilles still struggles to do the simplest of things and sleeps as much as possible. 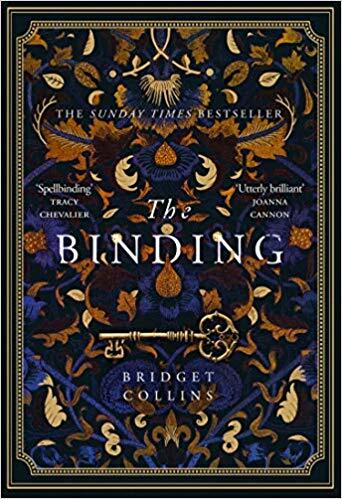 A few weeks into his stay in the provinces, Gilles is dragged along (unwillingly) to a dinner party in the village where he meets Nathalie, the young wife of a very well-to-do lawyer. She instantly falls in love with Gilles (quite to his amusement) and finds reasons to pop along to Gilles’ sisters house to see him. They begin an affair (not very successfully at first) but he eventually falls in love with Nathalie too and his life suddently begins to hold some sort of meaning again. The title of the book, Sunlight on Cold Water, is a perfect metaphor for Gilles and Nathalie’s budding relationship. Gilles starts to live again, to breathe again. I don’t want to spoil the rest of the book, but there is some soul-searching to be done once back in Paris and the ending really does come completely out of the blue! I know I have only read two Sagan books so far but I am now declaring myself a huge fan! I find her prose so crisp and clear and not a word wasted and she is also an author who knows her characters so well that her books don’t need to be padded out with non-necessities. Brilliant, just brilliant! I loved Sagan’s That Mad Ache; though the translator rather took over, he put an interesting essay in the back about the issues of translating. I got a copy of Bonjour Tristesse last year and I’m looking forward to reading it. And now more Sagan! What do you think about the role of translator? I’m especially interested in reading more of her work by other translators to try to get a clearer idea of her own style (as opposed to the translators). That’s really interesting that you’ve asked that, Shannon, and I’m really glad you have as I very nearly put something about the translation myself in my review. The honest answer is that I hadn’t really thought much about the role of the translator until only recently when reading about its importance in another blog post (Winston’s Dad). While reading this book I did wonder many times if the translator had had much influence over how this comes across but to be honest if he/she did then they did a fanstastic job! The copy that I have is a 1971 edition and the book was only written in 1969 so I like to think that any turns of phrase etc were current in both French and English so there can’t have been too much modernising of the narrative. I’d be really interested to know what the translator in The Mad Ache wrote about the issues. Would you like me to send you a copy of The Mad Ache? The translator included an essay at the back about his experience translating the book which is really interesting – he has a bit of an ego but still. What’s interesting is he compares the original English translation – done by her husband decades ago – with his own interpretation, and also what a literal google translation would be. I haven’t found anyone else who’s read and interested in the topic that I could talk about it with, and I’d be happy to mail you the book (for keeps). Oh I’d LOVE that!!! Thank you so much! 🙂 I have been looking out for a copy on readitswapit since you mentioned it but there isn’t one available. I’d be really interested to see what the translator says about it too. I’ll send you my address on email. I’ve never heard of this author before, but I’m going to look for her. Thanks! If you liked Bonjour Tristesse, I would definitely think you’ll like this, Stu. She has written quite a few books but from what I can tell, they are all similar in length so don’t take long at all to read. I read Bonjour Tristesse as a teenager (it’s a perennial favourite amongst the young in Japan) and even tried to read it in French (although I don’t think I finished it). I loved it because it was beautiful, adult (for a teenager), slightly frightening and very French. I haven’t read anything else by Sagan since, but I’m definitely going to seek this out. Sakura, that’s really interesing about Japanese teenagers; I love hearing about what books are popular overseas. I really love the 2 books of hers that I have read so far. Hope you enjoy if you pick another up. This is one of the ones I’ve bought, I’m so pleased to see your views – and now want to read it badly! Will save it up for my next novella reading weekend. I absolutley loved this book, Simon. It really resonated with me. Hope you enjoy.